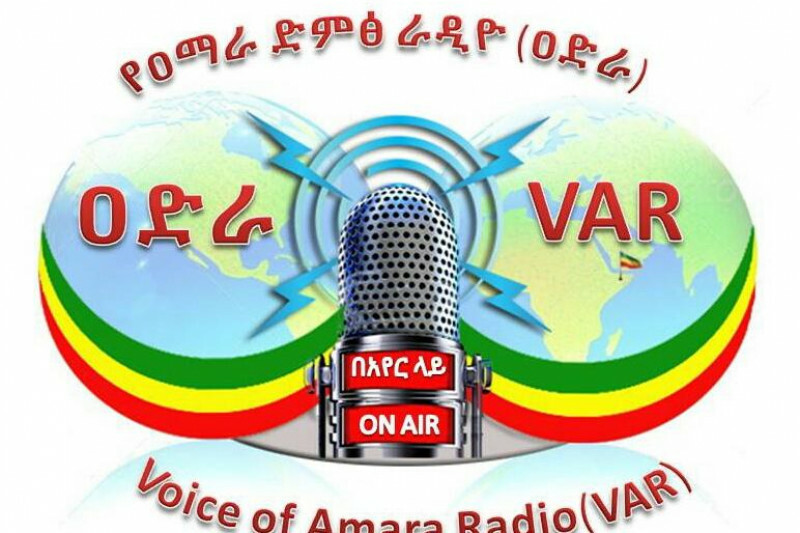 Please support Voice of Amara Radio ( የዐማራ ድምፅ ራዲዮ ) that has the mission of serving Amaras in Ethiopia and Diaspora. The facist ethnocentric Tigray-Weyane regime, which came to power over 25 years ago and labeled the Amaras as enemy, has been implementing a genocidal policy that is uniquely targeting the Amaras. This Media Center, a non-profit organization, promotes the respect of the fundamental human rights of Amaras in particular and all Ethiopians in general. Please listen to our programs and supports us! as Amhara voice we are one of the the movement who stand for freedom of the Amhara people with huge challenge, is it possible to get air to promote our movement "Amhara Democracy Movment Froce" based in Eritrea, fight in the Amharas Region. we would like the people of Amhara to be behind us to achieve the goal we set, however due to luck of Medea our moment was not able to get enough cover like G7 or other moment.. could you please let us know if you could give us air time and how often to prepare ourselves utilizing these opportunities?? thank you in prior to your response. Dear Ato Kassa Anbessaw and Ato Desi Assefa with all due respect you are totally wrong the first thing I am one of the board of directors for Amara dimit radio this board is a collective of many intellectual Ethiopians from all kind of Amara organization working to be the voice for the voiceless Amara people this radio is managed by this board with out any selfie interest other than helping this strangle by being voice for those Amara people who their voice was and is suppress by the faciist Weyanie government. It is sad you are fabricated such totally wrong and disturbing information about this program and the individual who dedicat his lief to help the struggle. What have you done to help the Amara people when 5,000.000 Amara was eliminated in the past 26 years. If you are a concern Ethiopian please get your fact together and work toward helping our people instead spreading unfounded false information. If you are Weyanie we are just starting the Amara struggle just started we will free our people soon. Your fabricated lay is not going to stop us our movement will go to the end. Jember Ameha Amara dimit radio Board of director. Dear Jorden Flinn thank you for your massage. Amara radio is the property of all Amara your cause is our cause please contact DR. Aregahgn Nigatu who is the producer for Amara Radio he will be more than happy to work with you. I donate this in behalf of melkam molla.She is amazing radio journalist. Learnt about your efforts from family members on Ethiopian Christmas Day. Keep up the good work. We would like to continue support this radio more. We have tried to contact you but there is no answer. Hope you will update contact details. The Amhara people everywhere need a strong media. My daughter, Shoa B asked me to start making a donation.